It was tough to choose which cookbook I should start with, but I ended up picking Molly O’Neil’s New York Cookbook. Heavily creased and overflowing with post-it note bookmarks, I had a good vibe about this publication. 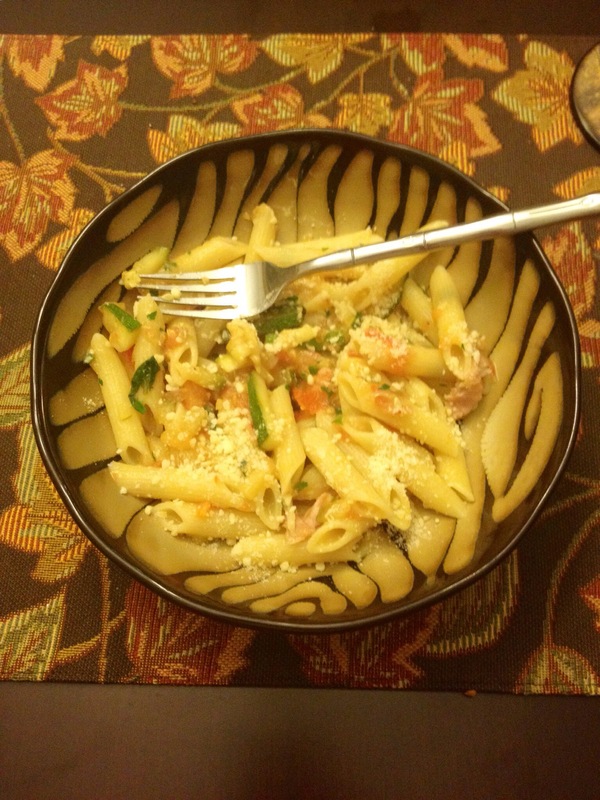 I was a little strapped for time today, so I opted for a simple pasta dish. 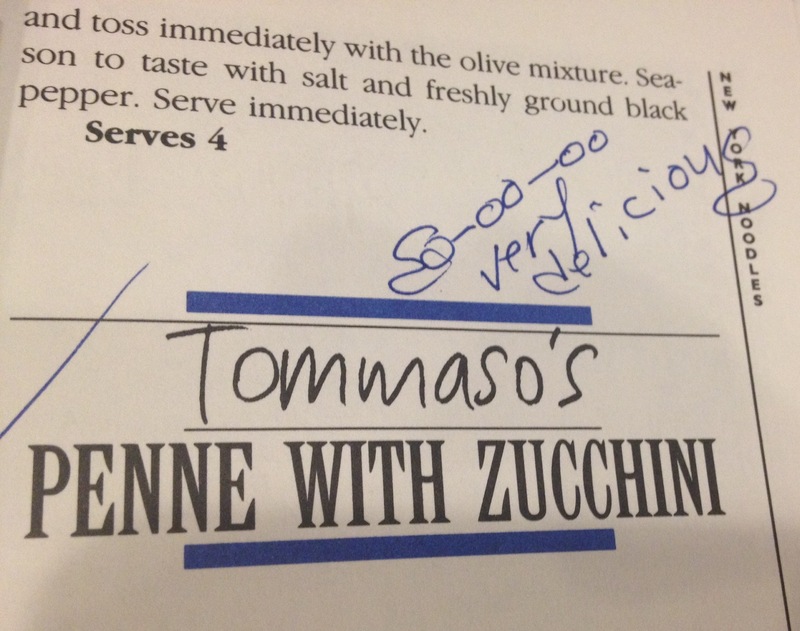 According to Nana, this dish was so delicious – so I couldn’t wait to try it! 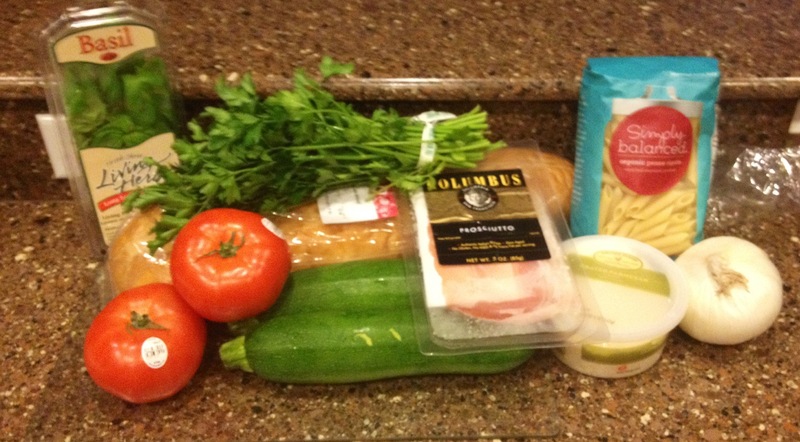 I stopped at the grocery store on my way home from work, and then it was time to get cooking! 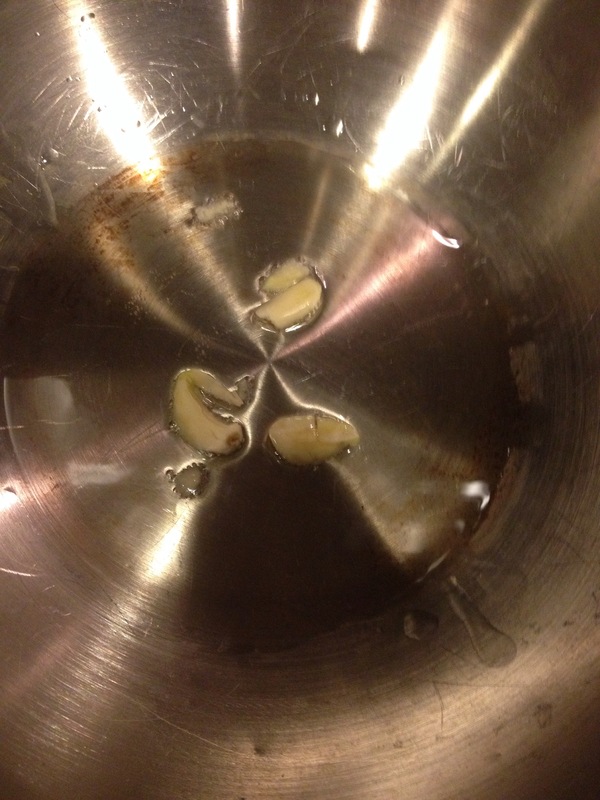 The first thing I did was to peel a clove of garlic, smash it, and then sauté it in some olive oil until golden. While the oil was infusing, I started boiling my pasts, minced my onion, julienned the zucchini, chopped the tomatoes, and prepped the prosciutto. Everything was coming along nicely, and the aroma in the kitchen was intoxicating. Once the sauce was complete and the pasta was boiled, I tossed them together and topped with cheese. 1. Warm the garlic in the oil in a nonreactive large sauté pan over medium heat until the garlic is golden, 5 minutes. Remove and discard. Add the onion and pepper flakes and cook until the onion is soft, 7 minutes. 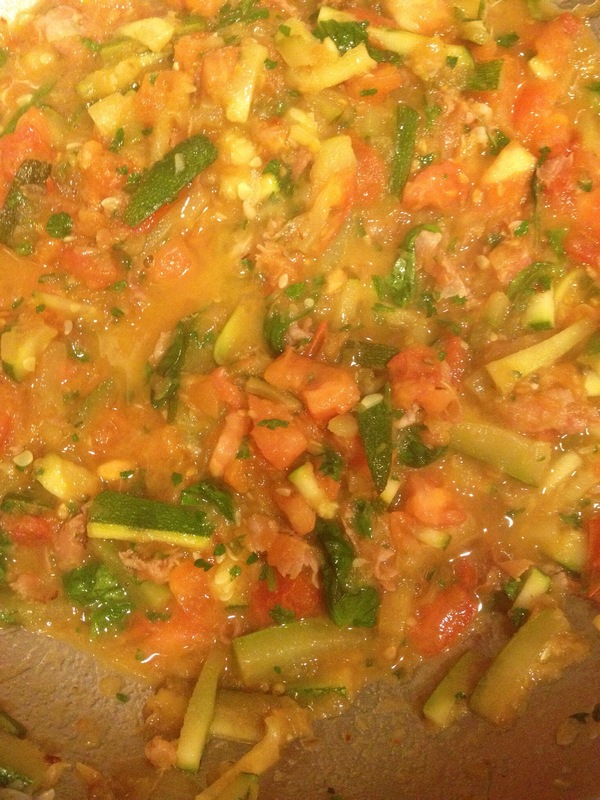 Add the prosciutto and zucchini, partly cover the pan, and cook until barely soft, about 5 minutes. Stir in the tomatoes and cover the pan. Reduce the heat to very low. 2. Boil the penne in plenty of well salted water until tender; drain. 3. Meanwhile, add the butter, parsley, basil, salt, and pepper to the sauce and stir well. 4. Place the sauce in a large pasta bowl. Add the penne and toss. Add the pecorino cheese and additional salt-and-pepper to taste and serve. If you made this recipe, leave a comment and tell me what you thought!